The logo of Exxon Mobil Corporation is shown on a monitor above the floor of the New York Stock Exchange in New York, Dec. 30, 2015. ExxonMobil failed to fend off a shareholder rebellion over climate change, as investors with 62.3 percent of shares voted to instruct the oil giant to report on the impact of global measures designed to keep climate change to 2 degrees centigrade. Although the identity of voters wasn’t disclosed, a source familiar with the vote said that major financial advisory firm BlackRock had cast its shares in opposition to Exxon management and that Vanguard and State Street had likely done the same. All three financial giants have been openly considering casting their votes against management on this key proxy resolution at the annual meeting Wednesday. BlackRock and Vanguard are the biggest shareholders in ExxonMobil, owning 13 percent, or $43.6 billion worth, of the company’s stock. A vote by them against management marked an important step for groups that have been trying to force corporations to adopt greater disclosure and transparency about the financial fallout of climate change. It notes that other major oil companies including BP, Total, ConocoPhillips and Royal Dutch Shell have endorsed the 2 degree analysis. Reuters reported that State Street Global Advisers, another big financial advisory firm that has called for greater climate disclosures, might also oppose management on the resolution. It is the third-largest shareholder with 5.1 percent of the stock. This month similar resolutions demanding that management explain how climate change could affect their businesses were adopted at Occidental Petroleum and PPL, a large utility holding company. Occidental’s shareholders backed the resolution with a 58 percent majority; that majority included BlackRock in its first vote ever against a company’s management over the climate issue. 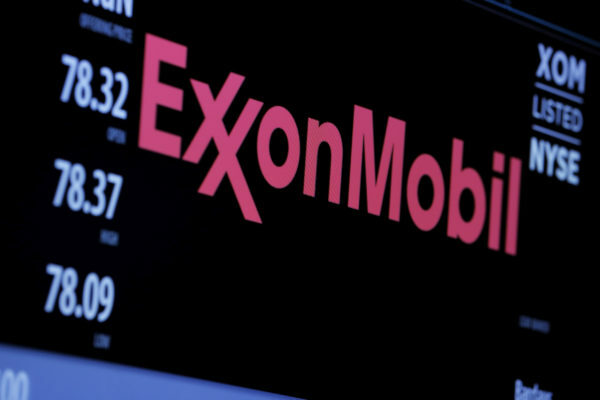 Major shareholders also have leveled criticism at ExxonMobil’s board of directors. Worried about the outcome of the Wednesday votes, the oil giant on Tuesday issued an addendum to its proxy statement, providing additional arguments and information to bolster its recommendation that shareholders reject resolutions about the responsiveness of the company’s board of directors. One resolution, requiring that a director running unopposed garner a majority of votes cast, was supported by 45.7 percent of the shares despite the opposition of management. The ExxonMobil annual meeting is the first for Darren W. Woods as chief executive. He took over from Rex Tillerson, now secretary of state.